Promotion Hierarchy Optimizer - Objective Insights, Inc. The best budget allocation for one company for a particular product may be different than that for a different company or product. Companies need help determining the best allocation for each given situation. The best allocation might depend on the market’s characteristics, the product’s characteristics, the stakeholders being approached, and the company’s marketing objectives. Promotion Hierarchy Optimizer guides the marketing team through a process whereby they can make intelligent choices about their particular situation, develop a budget allocation based on those choices, and then defend those choices to others within the company. 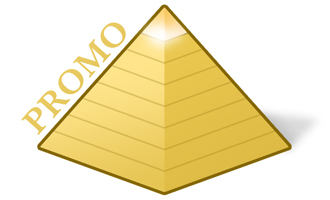 Promotion Hierarchy Optimizer is a Microsoft Excel-based model that has built-in Analytic Hierarchy Process abilities and is structured for these types of marketing budget allocation decisions. The model will output the optimal budget allocation along with a consistency score and flags of elements where the group assessments were logically inconsistent. The results of this process will show how the marketing budget should best be allocated to meet the objectives of the company within the context of the environment in which the product is anticipated to compete. Contact Objective Insights for a full functional demonstration version of Promotion Hierarchy Optimizer. Promotion Hierarchy Optimizer Overview (pdf). For more information about the Analytic Hierarchy Process, please download the AHP and Promotional Programs Overview (pdf).